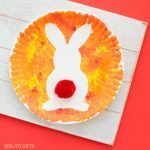 Today we’re combining shape crafting and Easter crafting to make this adorable shape bunny craft. 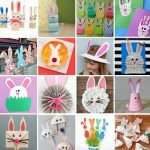 The craft requires no prep work and it’s very easy to create. 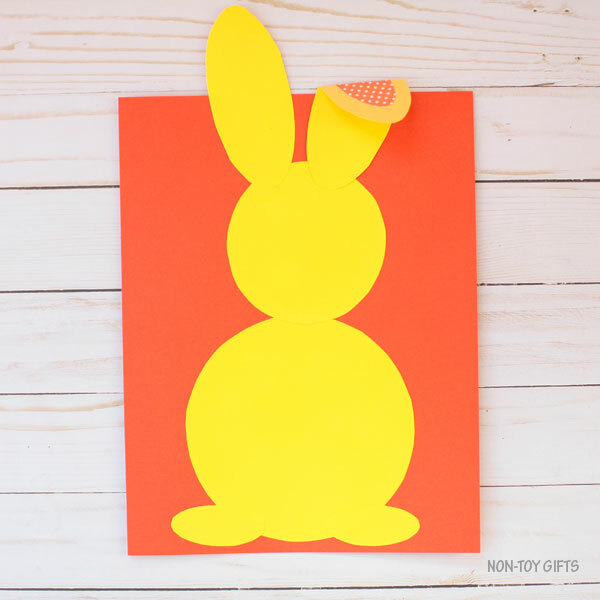 Just cut the templates and assemble the rabbit by gluing the shapes on cardstock paper. 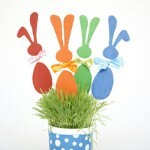 This shape bunny makes a great new addition to our collection of rabbit crafts. 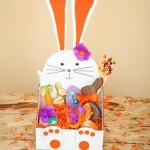 My boys love making bunny decorations and I have also created a couple of bunny-shaped Easter baskets so far. 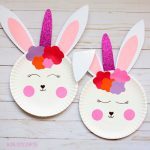 It is the bunny season so let’s make one more. 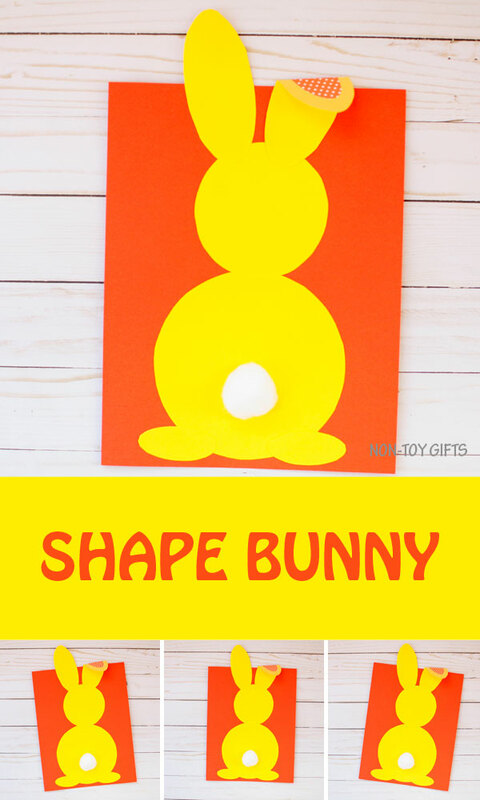 Step 1: Download the shape bunny template and cut out all the shapes. 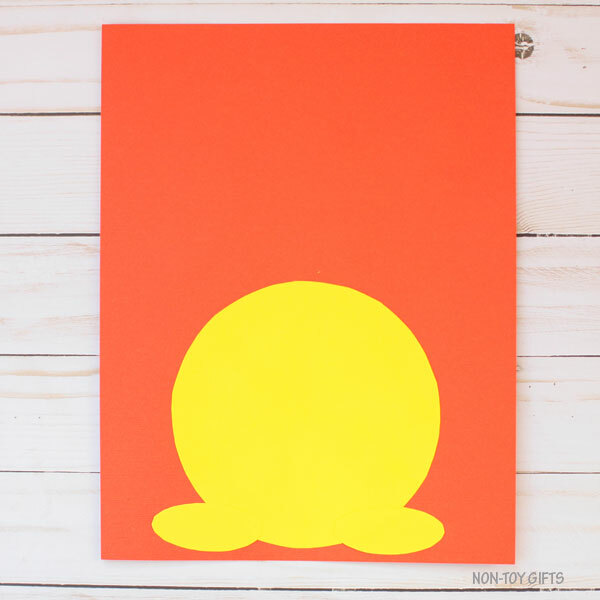 Step 2: Trace all shapes on construction paper. 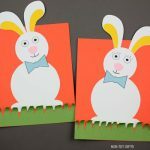 You will need 1 big circle (body), 1 small circle (head), 2 small ovals (feet), 2 big ovals (ears) and 1 medium oval (ear detail). 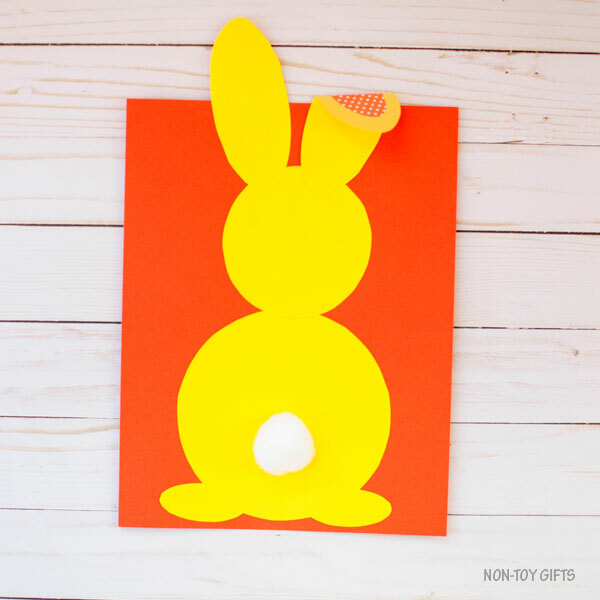 Use patterned paper for the ear detail and colored paper for the rest of the shapes. 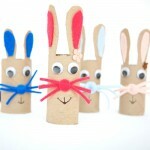 Step 3: Start assembling the bunny together by gluing the big circle at the bottom of the cardstock paper. Then glue the feet, one on each side of the big circle. The small circle goes on top of the big circle. Step 4: Glue the medium oval (ear detail) on one of the big ovals (ears) and fold it with the patterned paper on the outside. Glue both ears on top of the bunny head. 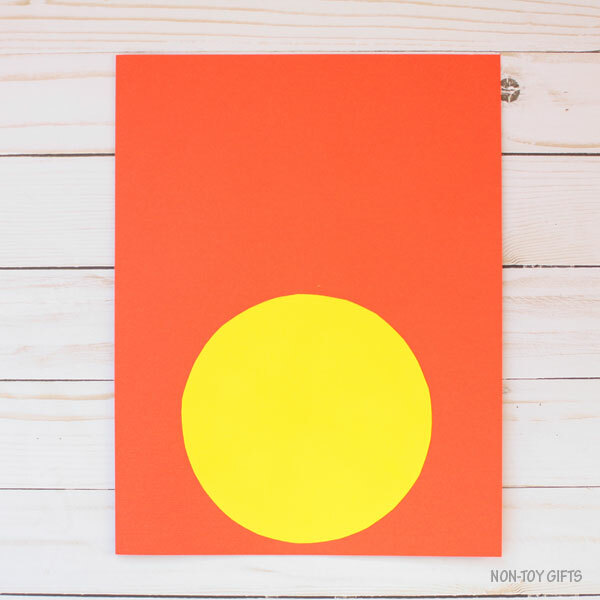 Step 5: Add the white pom pom at the bottom of the big circle.